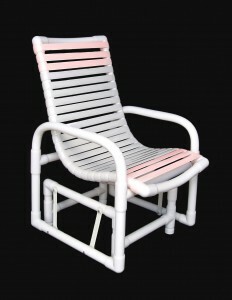 We have been manufacturing PVC patio chairs for over 25 years and they have proven themselves to stand up to the test of time. 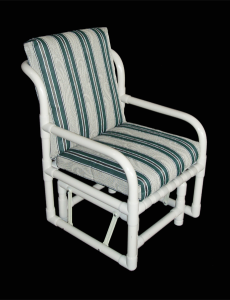 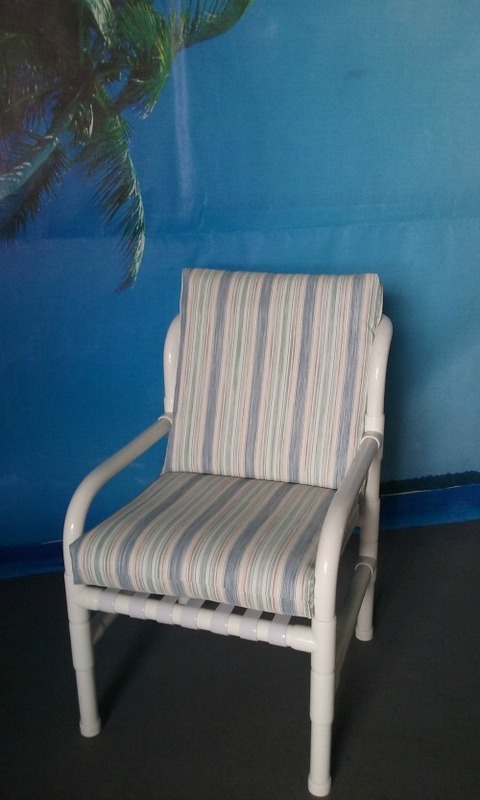 We make them using the finest furniture grade PVC which is made with special UV inhibitors to combat the extreme effects of the Florida sun and heat. 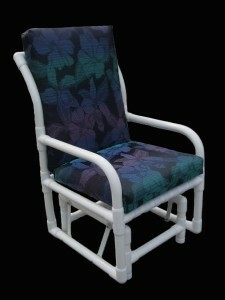 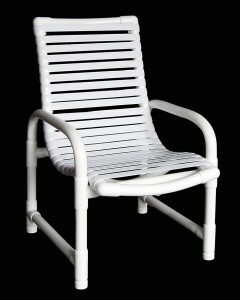 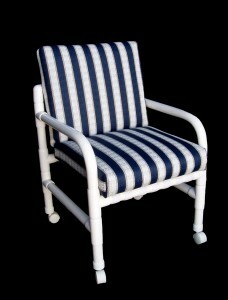 Our chairs are available with either white or bone frames in a variety of styles to suit your needs. 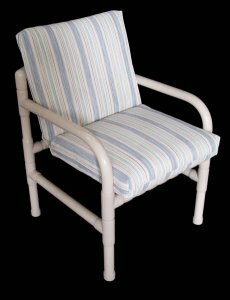 They can be made with cushions or straps, with a high back, medium back or low back, with casters or even as gliders, the choice is yours. 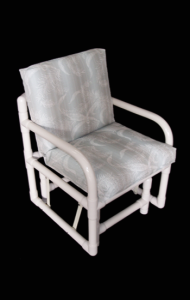 The gliders are especially good if you prefer to keep moving. 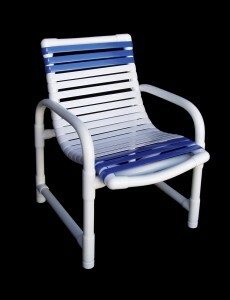 They can help you to relax after a hard day.